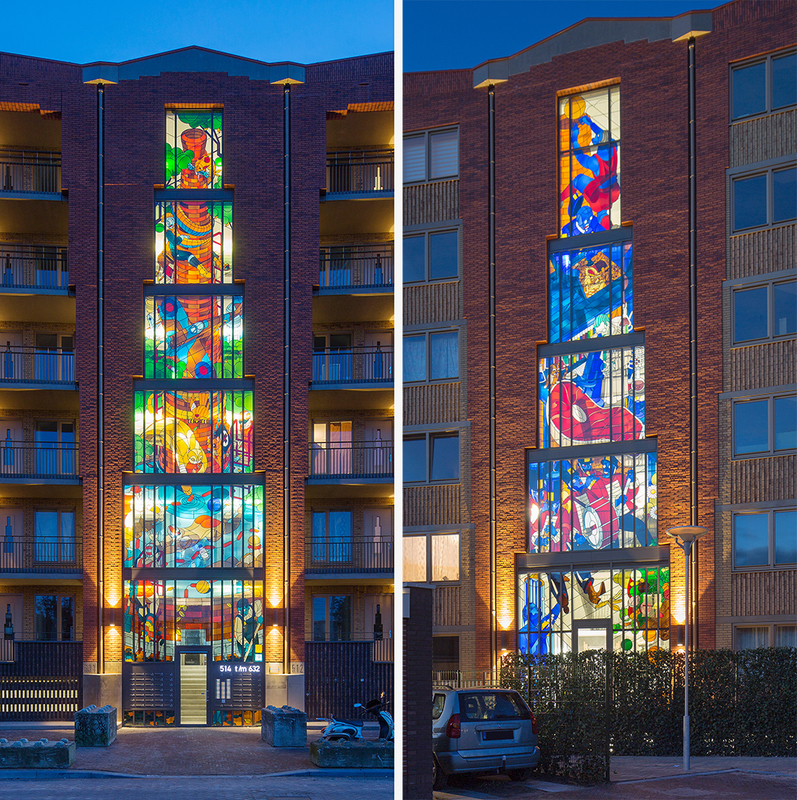 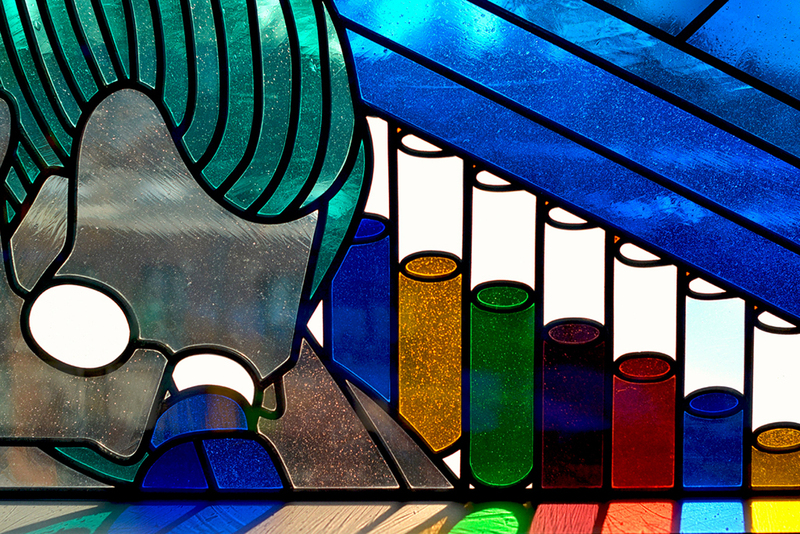 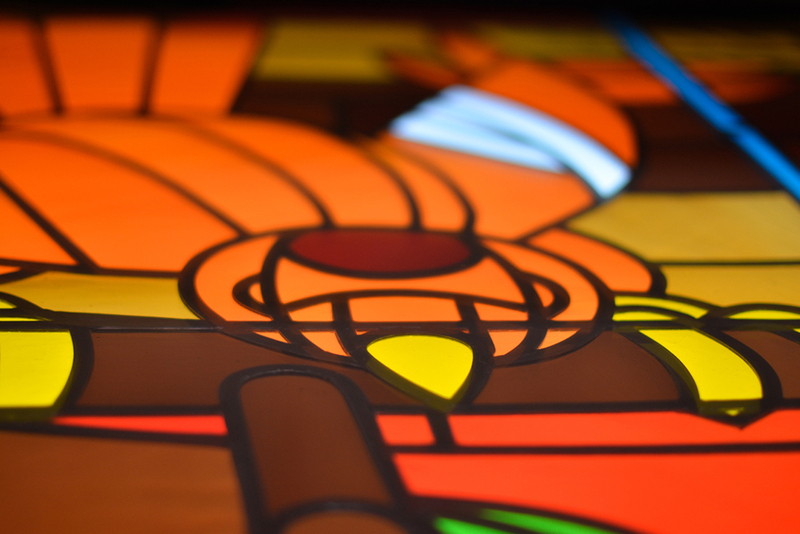 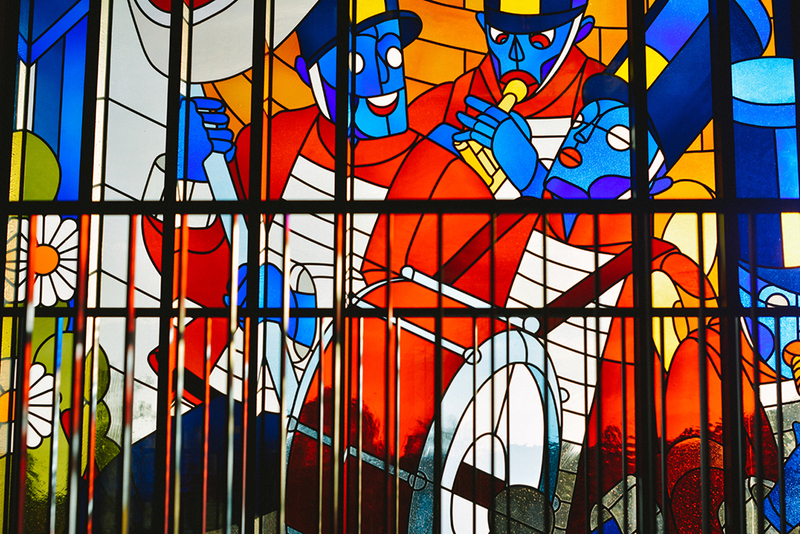 At the Polderweg in Amsterdam two giant stained glass windows were created by illustrator/artist Stefan Glerum. 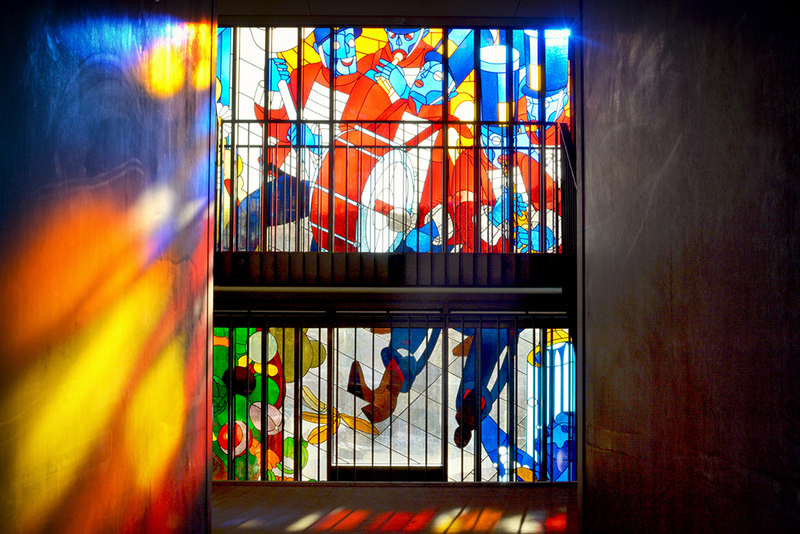 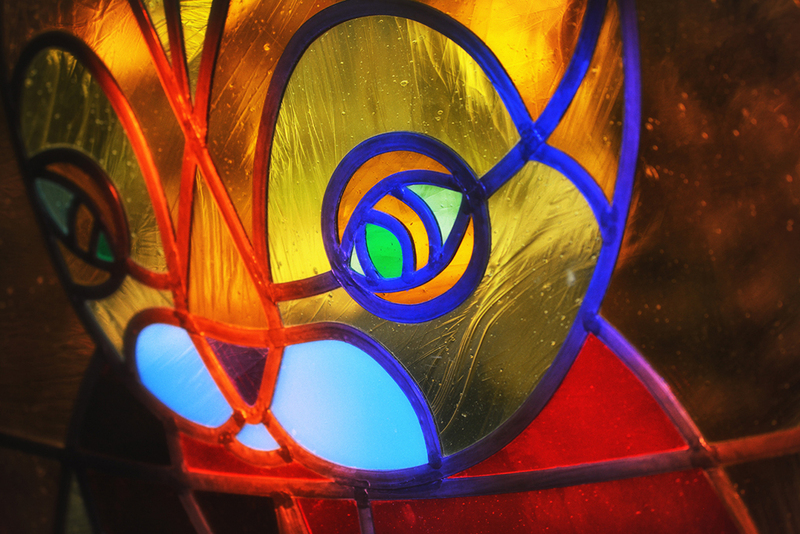 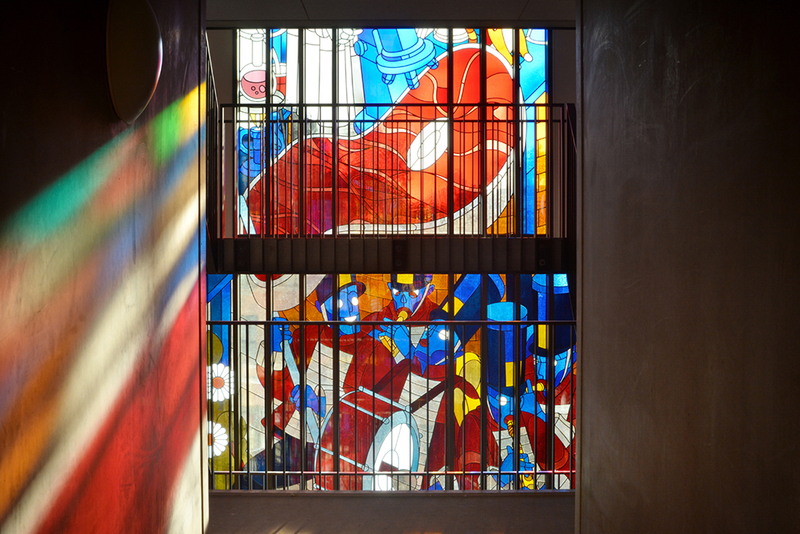 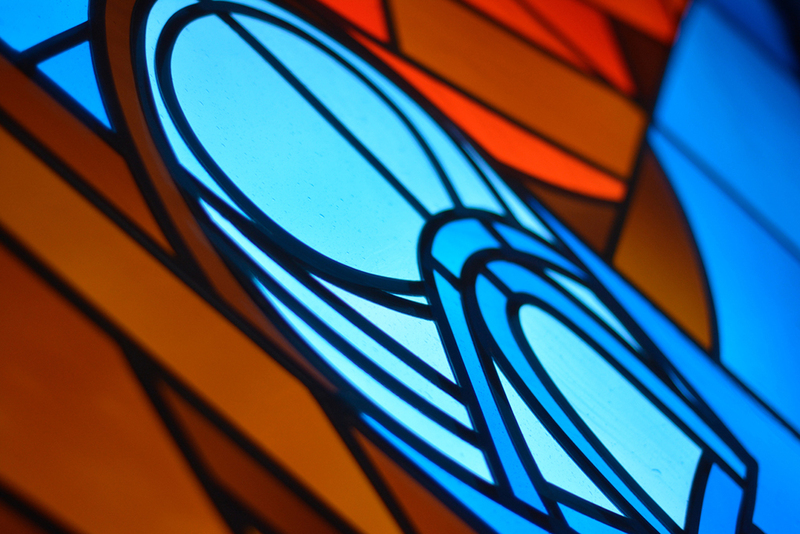 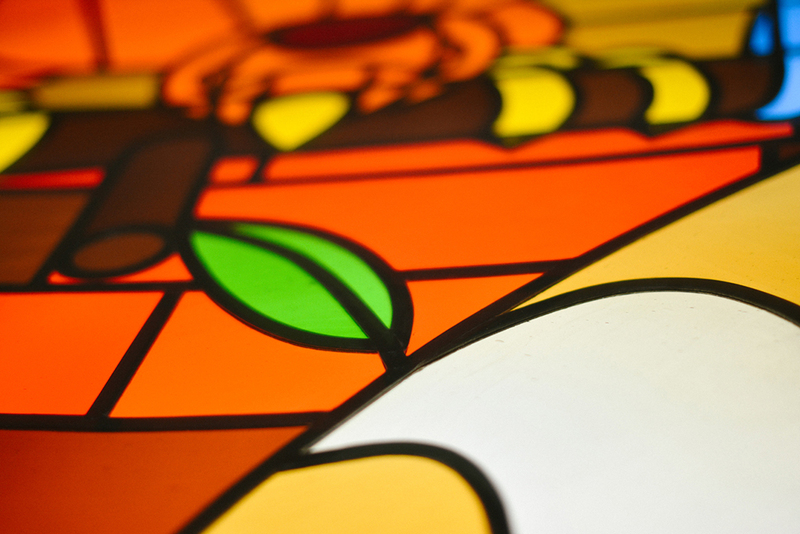 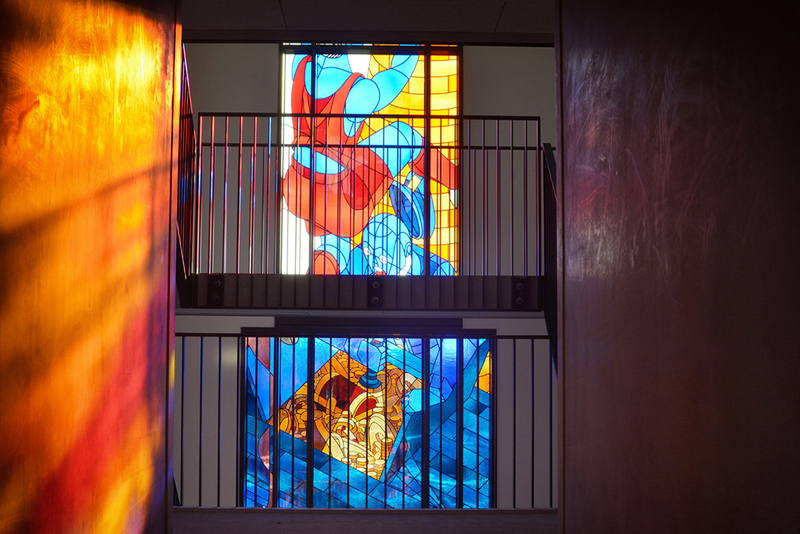 The 60 feet high stained glass windows are located at the front and rear of a new housing complex with 72 apartments. 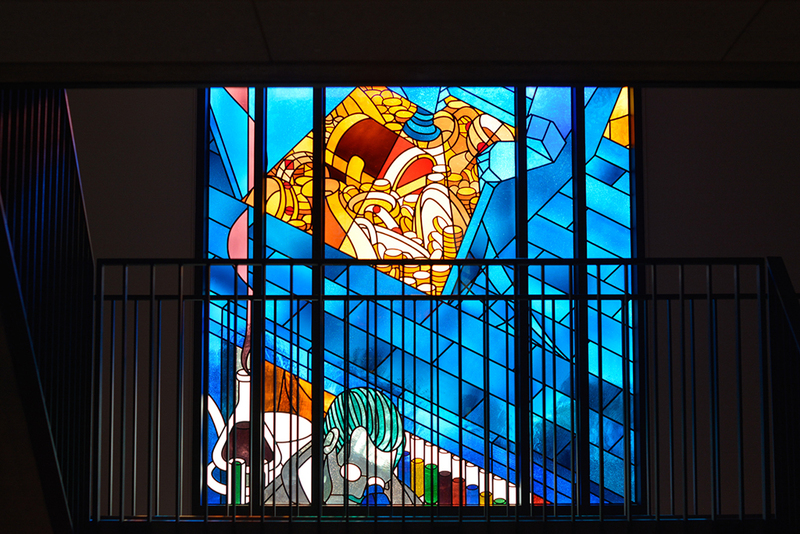 In a colorfull and expressive manner the stained glass depicts the history of the area where the housing complex is situated (de Polderweg).The windows are also visible from the train. 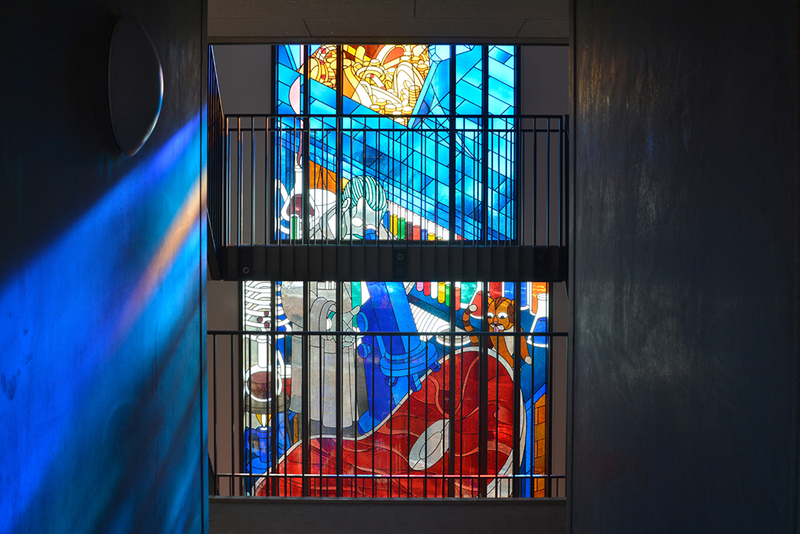 In the design there are references to the former Oostergasfabriek (a 19th century gas factory), the old swimming baths and a former animal shelter as well as personal stories associated with the location’s history. 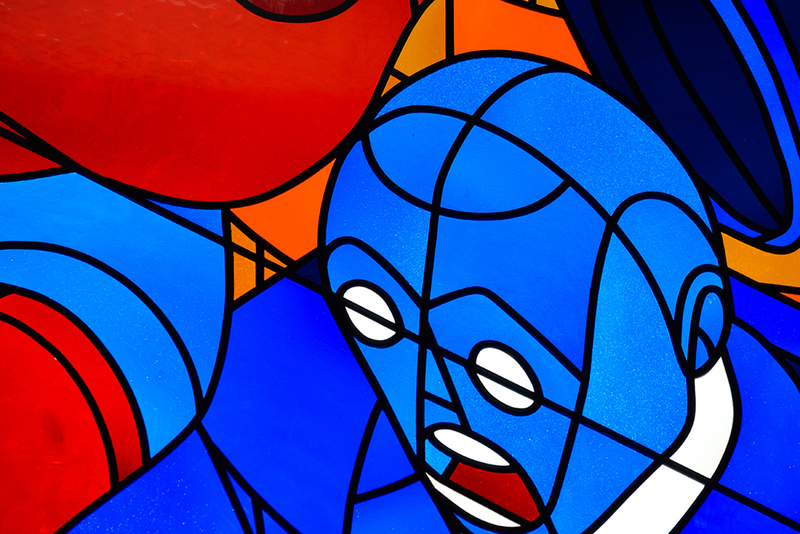 Stefan Glerum spent four years in Breda studying illustration at the Academy St. Joost. 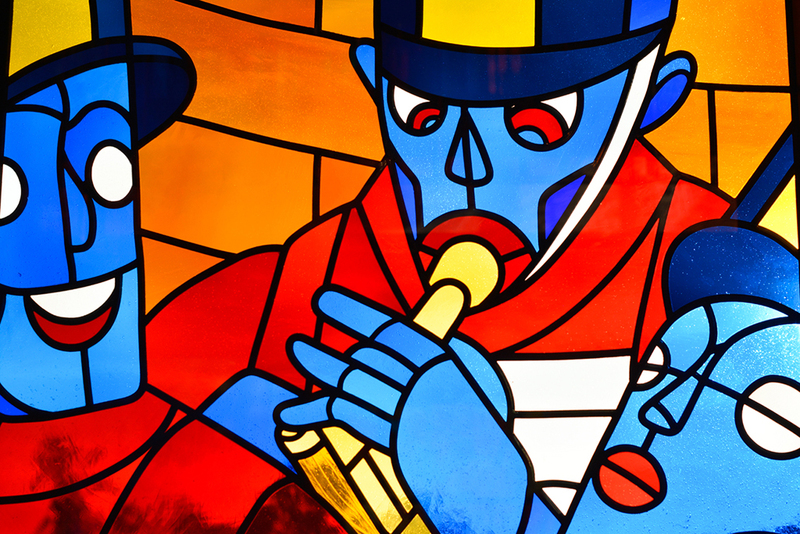 Stefan Glerum’s style is like a melting pot of illustration heritage. 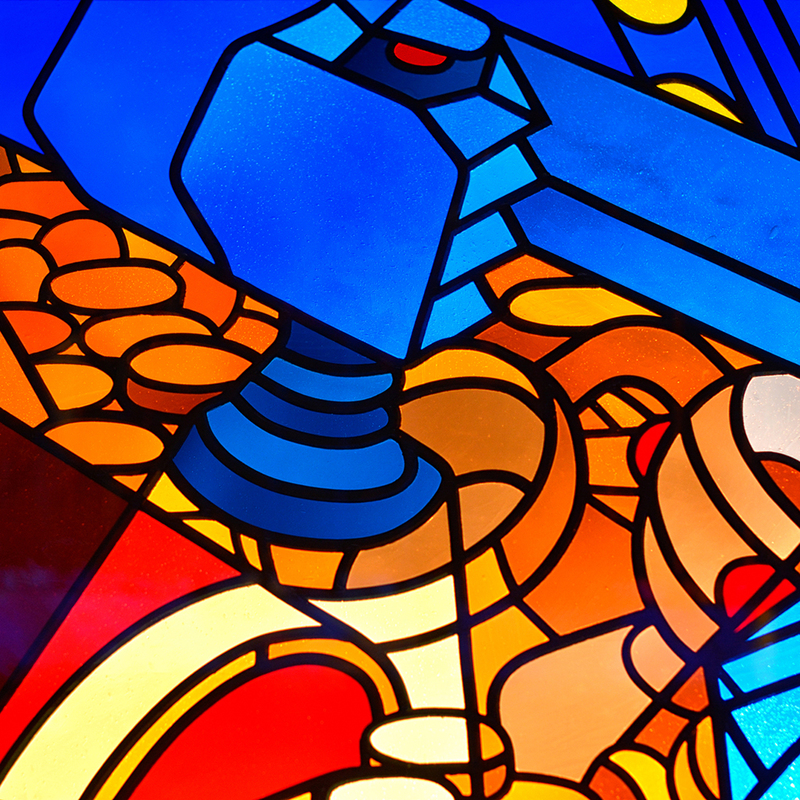 While its subconscious familiarity has universal appeal, his work is also a study point for those with knowledge of graphic design history. 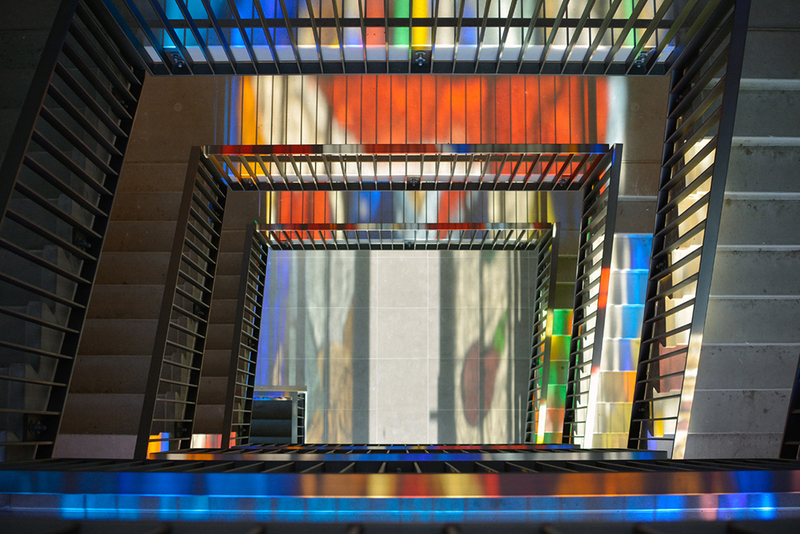 The new building complex was developed by Ymere, designed by Heren 5 Architecten and built by HSB Construction. 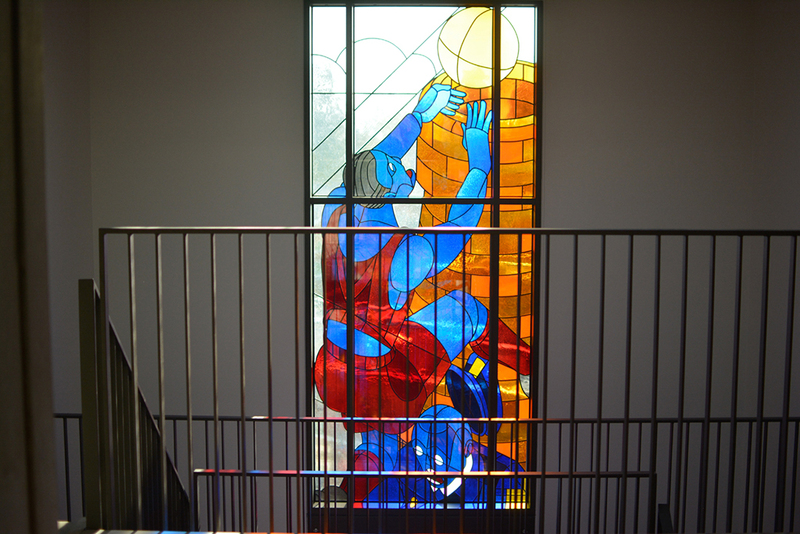 Stained glass studio Schmit from Haarlem was responsible for the implementation of the stained glass windows, consisting of 106 parts.